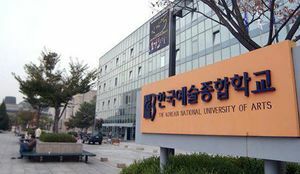 Korea National University of Arts (K-ARTS) is located in Seoul, South Korea. There is a student dorm on campus that exchange students can live in during their stay. It is a school that teaches an equal amount of theory as it offers practice, and is mostly taught in Korean, so a basic knowledge of the language is recommended if you want to know what people are talking about. This page was last edited on 18 December 2018, at 01:02.